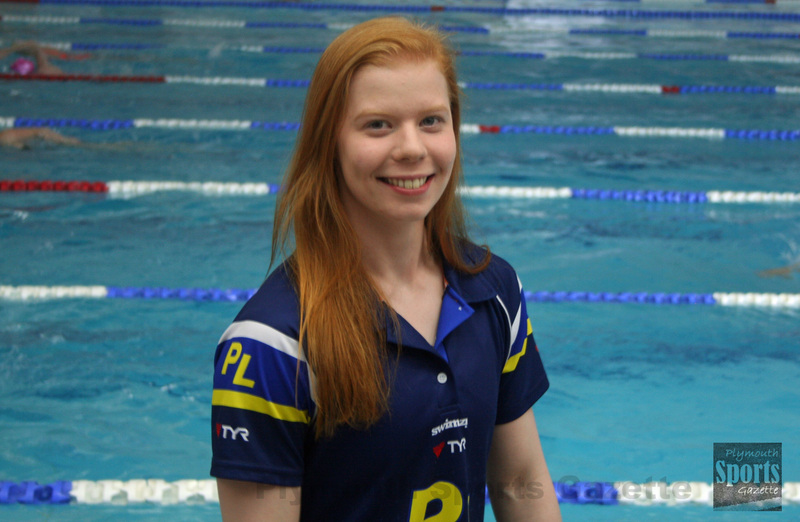 PLYMOUTH Leander’s Laura Stephens added three more medals to her collection on the penultimate day of the British Swimming Championships in Sheffield. Stephens, who had already picked up four individual gongs, including one gold, earlier in the competition, bagged bronzes in the 17/18 year-old women’s 200m IM and 50m backstroke events and in the senior 4x100m relay on Saturday evening. She teamed up with Juliette Casini, Anita M’Cartney and Jessica Jackson to claim a place on the relay podium with a time of 3:44.82, while clocking 2:17.39 in the 200m IM and 29.15 seconds in the 50m backstroke. Both Leander and Mount Kelly claimed relay titles in Sheffield on Saturday. Leander won the 14-16 year-old boys’ 4x100m freestyle title in 3:34.18. The team was made up of Adam Davies, Ethan Rayment, Joe Thompson and Reid Jones. Mount Kelly topped the podium in the 14-16 year-old girls’ 4x100m freestyle relay in 3:51.77. Their quartet was made up of Kaylee Dekker, Athena Clayson, Molly Francis and Georgina Dennis. In the senior men’s 4x100m freestyle relay, Plymouth Leander had two teams reach the final, finishing fourth and sixth. Mount Kelly’s Ben Harrison claimed another medal at the championships on Saturday, taking bronze in the 17/18 year-olds’ 200m IM in 2:06.40. In the same final, his team-mate Tony-Joe Trett Oliver came fifth in 2:07.94 and Plymouth Leander’s James Watson ninth in 2:10.11. Mount Kelly’s Joe Russell took fifth in the 15-years’ 200m IM in 2:13.19. There were a number of near misses in the men’s 50m freestyle races. Leander’s Reid Jones finished fourth in the 15 year-old event in 24.61, while his team-mates Lenel Ah Wan and Joe Thompson came seventh and 10th. In the 16 year-olds’ 50m freestyle, Devonport Royal’s Harry Noble, competing in his fourth final, finished seventh in 24.55 seconds. However, in a blanket finish just 0.05 seconds separated fourth from seventh. Plymouth Leander’s Tom Fannon had to settle for eighth place in the men’s 50m freestyle in 22.83, but again that was a tight race with 0.03 seconds separating four positions. Mount Kelly’s Clayson was fifth in the 16 year-olds’ 50m backstroke in 29.82, with Leander’s Honey Osrin taking sixth in the 13/14 year-olds’ one-length backstroke event in 30.55.